Most gardens have a pathway and generally we think of it as being necessary to get us from one area to another. But, what if that pathway was also a fragrant, sensory experience every time we walked along it? A perfumed pathway that is easy to maintain can be created with varieties of creeping thyme. Such thymes grow happily in cracks, between informally laid paving stones or in more regular spaces created by removing alternate pavers. The beauty of a thyme pathway is that these tough little plants thrive in full sun, relatively poor soil and are very drought tolerant once established. The spreading foliage and tiny pink, white or purple flowers of creeping thymes are most effective for softening the hard edges of a path. A thyme pathway fits into almost any garden style, but is especially useful for integrating a pathway into natural or indigenous gardens that are more informal. Because of its tiny, fine leaves, thyme stands out so much better when set off by stone, brick or gravel. 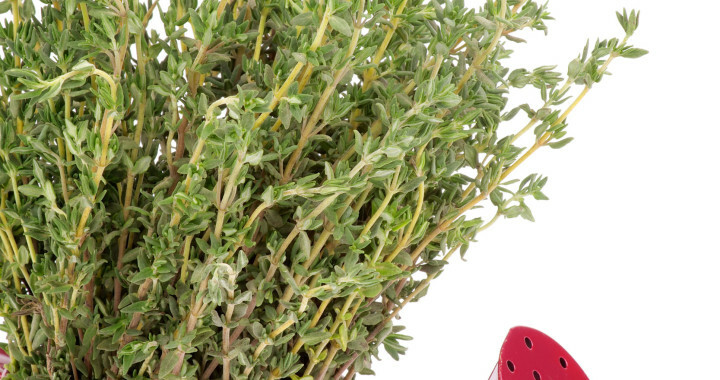 Although thyme tolerates a fair amount of foot traffic, it is a good idea to place the stepping or paving stones to that the thyme doesn’t bear the full brunt of the feet. Make the spaces between stones smallest where traffic is heaviest, and widen them out toward the sides of the path. This also gives the pathway a more natural appearance. The most suitable varieties are the spreading, ground hugging (almost flat) thymes that produce a dense mat of leaves. For a lovely effect, combine three or more creeping varieties with different flower and foliage colours and textures. Bressingham thyme (Thymus doefleri) is a spreading 2cm high variety, free flowering with pink/purple flowers and tiny, aromatic grey-green hairy leaves that form a dense mat. Creeping thyme (Thymus coccineus) also has very small, fine aromatic leaves that form a carpet. It has a slightly higher growth (up to 7cm), and has crimson-pink flowers in summer. Clipping maintains the dense texture. ‘Doone Valley Thyme’ (hybrid) has lemon scented leaves with heads of small purple flowers. It grows 5cm high but has the more open growth habit of a spreading groundcover. ‘White thyme’ (Thymus serpyllum ‘Alba’) has tiny, bright green leaves and white flowers. It is a very good groundcover and although it can grow up to 30cm it responds well to clipping and then develops a mat-like texture. Other thymes? Varieties, like Thyme ‘Silver Posy’, “Lemon Thyme’ and ‘French Thyme’ grow more upright. To make the most of their lovely foliage, they can be planted on the outer edges of the walkway or in containers. Just trim them more frequently. Did you know? that thyme is one of the best culinary and medicinal herbs available. It imparts a delicious flavour to most dishes. Medicinally, it is a strongly antiseptic, anti-bacterial and anti-fungal herb. Lift out pavers in a regular or irregular pattern or just use existing crevices and cracks. Whatever you decide, loosen the soil to provide depth for drainage and root development. Mix in good quality soil and compost. Any weed guard or lining under the paving would have to be removed. When planting in cracks, try to separate the plant into smaller sections and use an old kitchen knife to gently tuck them into the cracks. Fill around them with more soil if necessary. Water well after planting and water regularly until the plants are established. A liquid feed will give the plant a boost. Avoid walking on the plants until they are well established. Did you know? Pavers create their own micro-climates which encourages the growth of the plants. Condensation often occurs on the underside of the stones, providing natural moisture. Level the area, removing stones and sticks. Lay the stepping stones or pavers first. They should be on a base of gravel or crushed rock. Enrich the soil in-between with compost and make sure that it drains well. Plant the thyme as you would in the garden, allowing space between the plants for spreading. The plants should be level with the pavers. Water well after planting. During the first season water regularly, weed, and feed with a liquid fertiliser once or twice. Avoid walking on the plants until they have become well established. This usually takes one season. A thyme pathway requires almost no maintenance. Clip if necessary and water regularly during very hot weather. Remove weeds while the thyme is spreading but once it becomes dense there will be very few weeds. Feed periodically with a liquid fertiliser to prevent plants becoming scraggly. Posted in Growing Herbs and tagged fragrance, grow, herbs, Thyme, tips.